Emma Hessner is a landscape architect and DGNB consultant in urban areas. At Gottlieb Paludan Architects, she devotes must of her time on recreational landscapes, peri-urban landscapes and urban planning. 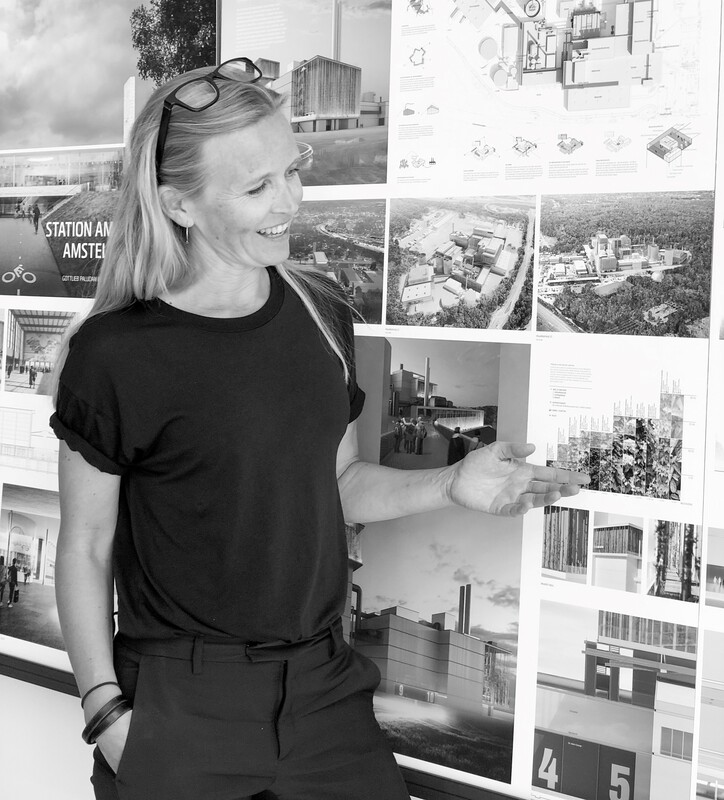 In this interview, Emma explains how she combines landscape and construction in the projects that she is working on and how environmental certification schemes add value to projects. What is the impact of landscape adaptation on a construction project? Urban spaces and landscapes have great potential in relation to sustainable architecture, not least because you are working with such basic elements in the earth’s cycle: soil, water and plants. When we connect these basic elements with man-made constructions, we work with the entire life cycle. I believe that you only work with half the cycle, if you focus on the buildings only. A good example of that is the landscape plan for the industrial buildings which we are currently building. For this project, we have been working with, for instance, the cut/fill balance; we avoid wasting resources by depositing on site the surplus soil which comes about when we dig the foundations of a building. This is the part of the process where it is very helpful to involve a landscape architect. One of our important jobs is to assess and communicate how best to utilize the surplus soil actively. Naturally, it is a sustainable initiative to utilize the soil within the same site, but it is also a financial benefit to the client, because the alternative is to take it to a landfill site and that is expensive. The landscape plan also includes initiatives regarding water drainage, and we have developed an actual water handling strategy together with a plan for nature conservation, biodiversity and landscape maintenance. On the face of it, you may expect it to become expensive with all these initiatives, but it will ultimately reduce costs. So the client gets a financially viable project and a green image. The landscape plan ensures a robust and accessible landscape which is an integrated part of the landscape of entire region. It becomes a landscape that can manage on its own and will develop. Many of the climate change challenges which we are currently dealing with and many of those which we will experience in the future are likely to be solved in no small way by landscape architects. The fact is that we can do a great deal with landscape adaptation. 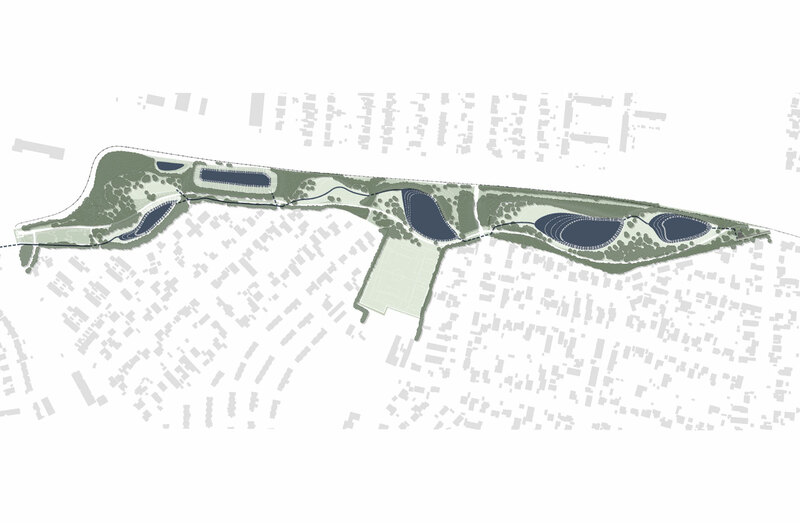 Solrødgård – Climate and Environmental Park, which is situated in Hillerød north of Copenhagen, is an interesting project where we adapted the landscape to be able to deal with the large quantities of water in connection with, for example, cloud bursts. We made full use of the area’s landscape characteristics and the topography of the plot and created a new landscape with streams and wet meadows. 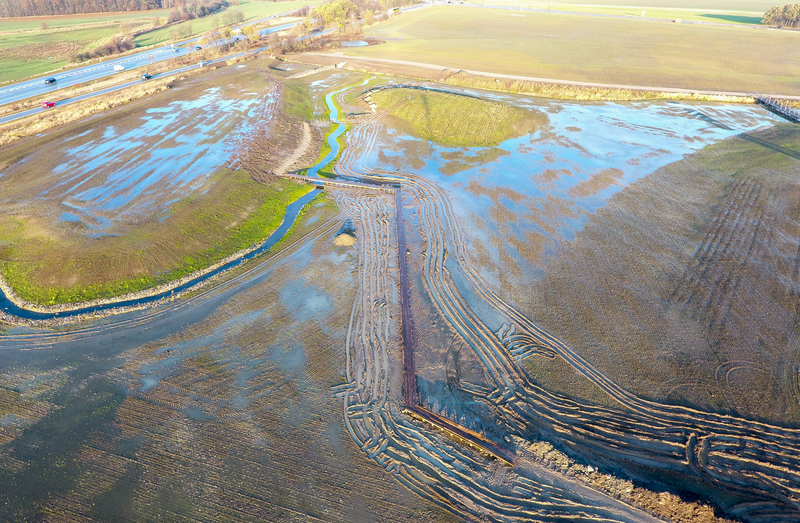 The new wetland was established around the watercourses Slåenbækken and Havelse Å, which merge into a temporary lake during periods of heavy rain. The lake receives rainwater from the Climate and Environmental Park, but it also accommodates surface water from the surrounding areas in the event of torrential rain. A project such as this came about as a consequence of the construction project, but the adaptation of the landscape is equally important to the surrounding area; together the building and the landscape re-create the full life cycle which locally solves a general climate change challenge. Many of the climate change challenges with which we are currently dealing with and many of those which we will experience in the future are likely to be solved in no small way by landscape architects. How does DGNB certification affect the overall effect of an urban space and its architecture? When you are working with landscapes – and I include green urban spaces in this category – you have to think about both the process and the maintenance. At Gottlieb Paludan Architects, we believe that it is important to be able to see and understand the whole entity. Landscapes are organic and have life cycles that are slower than the life cycles of buildings, but it is only in the interplay between landscape and building that you can talk about the full DGNB life cycle. In a DGNB certification, we divide the project into various criteria in order to give definite form to the various aspects and measure these, but it is the synergy effect that makes things interesting. It is nothing like as interesting to focus on a particular aspect and make some changes there unless you are aware that what you are doing has particular financial, social and environmental effects. It is important to be able to see and understand the whole entity. How can landscape solutions contribute positively to climate change? When you are working on landscape solutions, there is often an issue, such as handling surplus soil or rainwater for that matter, which needs to be turned into something positive. A case in point is the rainwater project at the creek Kagså in Copenhagen. The background to the project is that Kagså is currently heavily impacted by wastewater, and the neighbouring areas are contaminated by flooding from the creek during periods of torrential rain. Therefore, we created space and volume on terrain for the rainwater by designing appropriate landscape adaptations. We did that by digging out and making space for the water, but we made sure to do it in such a way that the area would retain its function as a recreational park, regional path network and area of natural beauty. It is the area’s urban and landscape potentials which form the basis for the solutions and create synergy between the technical requirements and the natural amenity value. In this case, the experience of water is turned into a quality and the ‘downsides’ are turned into an exciting and attractive urban space with activities and recreational potential. Basically, nowadays, landscape architecture is about climate change and taking care of our environment. .